It didn’t quite work for me, but many people have loved this book. I’m not sorry I read it, I just think there was potential for something more. I have this on order from the library. Like you, I thought the premise sounded intriguing. What a shame you did not enjoy it as much as you expected – it will be interesting to see how I get on with it. There is a great deal that will intrigue you, but there is also something that is lacking. I’ll be curious to know what you think. I have this ready to read – but have many more books to read first. Thank you for this honest review. It is definitely worth reading – but it’s a book that had potential to be more than it is. Yes – particularly when you can see that with a little reworking, maybe just one rewrite, the book could have been so much more. I was immediately drawn to this cover too, but I have a suspicion that I won’t love this one either. Thanks for sharing your review, Jane! It’s not a bad book by any means, but I don’t think you need to rush out to find a copy. I’m in the middle of this book now and I don’t think I’m the right reader for it either. I’m also struggling to warm to the characters, for the reasons you’ve mentioned. It’s a shame because it’s such a fascinating concept. I’ve enjoyed thinking about the ideas, but the book itself really didn’t work for me. I was going over my list of holds while at work last night, wondering what to do with this one. The reviews are varied but your reading tastes are so similar to mine….I think it’s the back burner, for now. I’d say it’s one for you to put into the hands of younger readers interested in the issues I’ve mentioned. Think about the ideas, but I think there are too many other book you’ll love out in the world for you too need to spend time with this one. I don’t think it is – there are a great many other book I would steer you towards before this one. 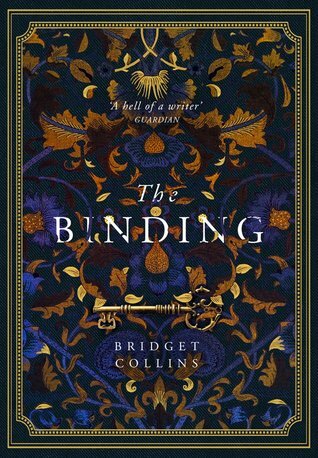 The cover is lovely, but the writing is for someone who looks for different things in their books.